Finally!!! 6 years coming and it's here now!!! Anne Curtis' passion project, her makeup brand, BLK Cosmetics, is about to make waves in the beauty industry! Why 6 years? Well, Anne has long been known as an avid makeup lover, and she has a penchant for lipsticks. 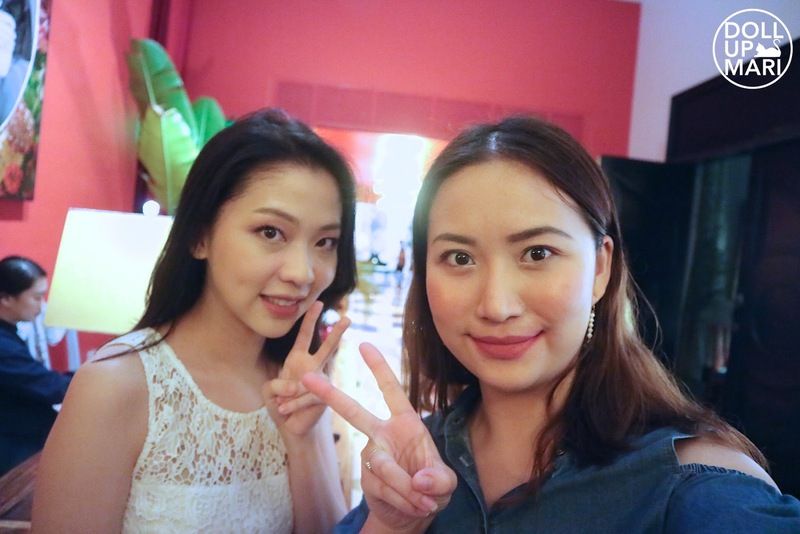 Plenty of people would often ask her what products she uses, and that's how she got the idea of influencing other people with her beauty philosophy. However, it took 6 years because there were many setbacks. 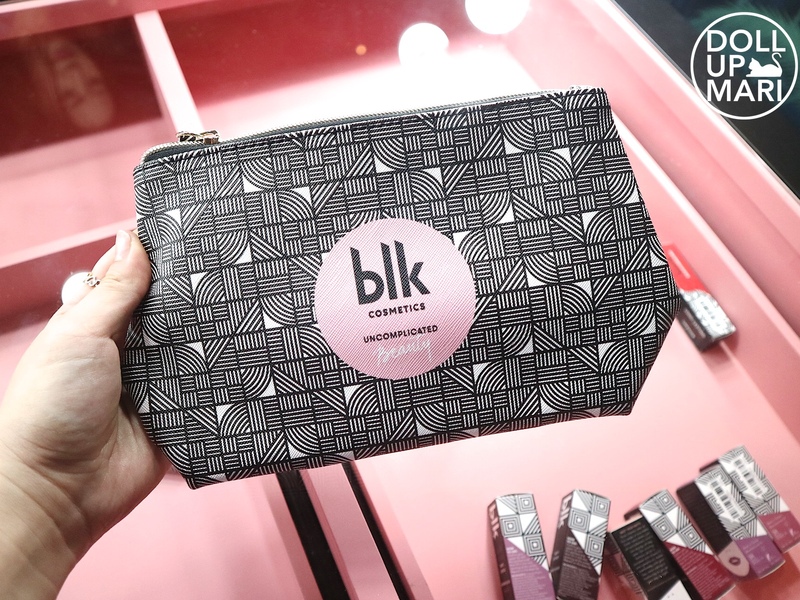 There were also many established brands who wanted to do spinoff limited edition products with her, but she felt that really just wanted to have her own product line. She wanted to create a brand that she could really be the pilot of the creative direction. 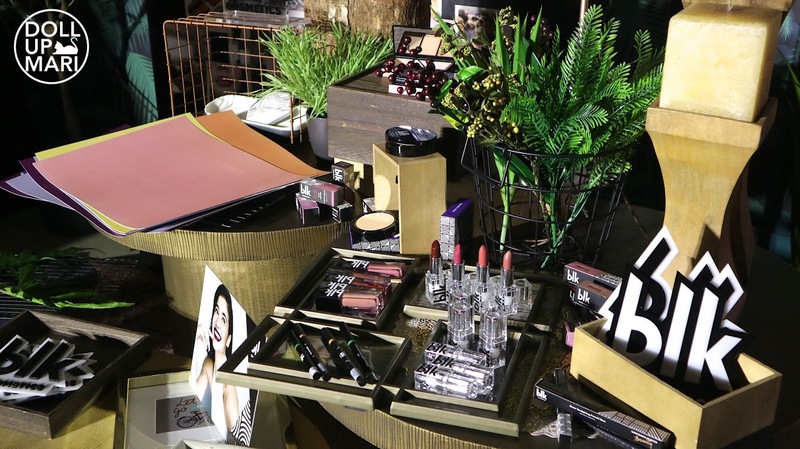 A brand with products that come in colors and textures she could be proud of using. I guess it made no sense to her to make a lipstick collab with a company but the other products of the brand do not match her vision. Or the quality was not the quality she had been envisioning. 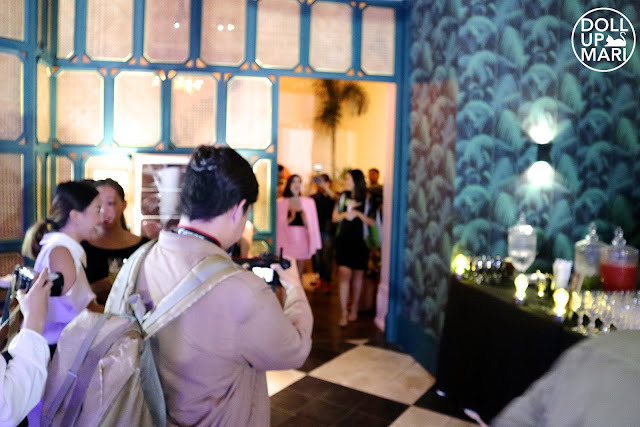 We were whisked away to Manila House Private Club the other day to be able to learn more about the brand and its products. But the pouch is just one small part! There's a lot more! 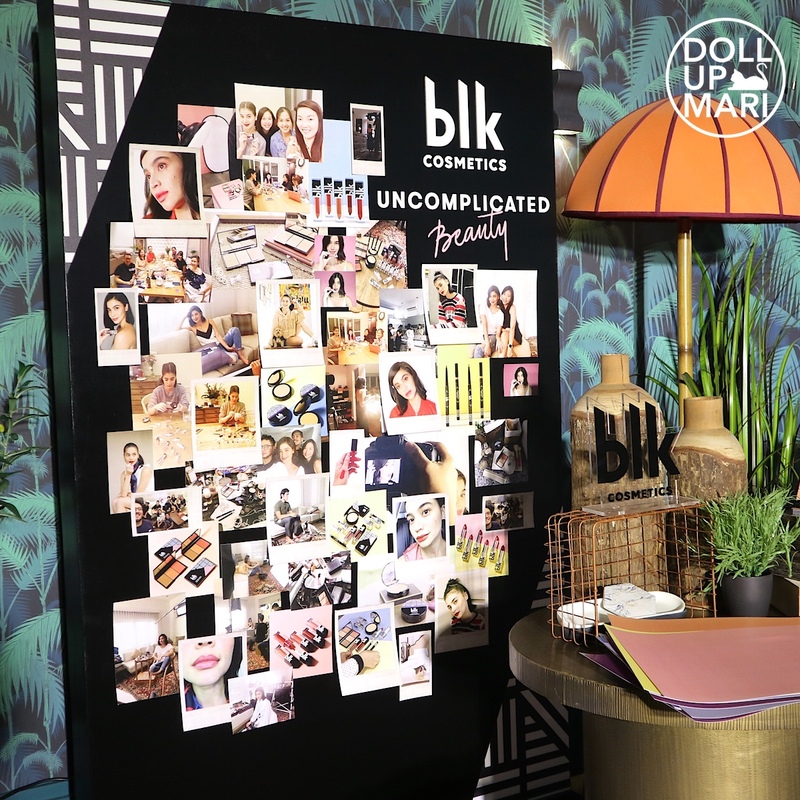 Anne envisioned a brand with a few key product lines, each with a few key shades, because the brand is all about Uncomplicated Beauty. Black is Anne's favorite color, and somehow, it stands for the basics and the staples. Anne is a personal testament to not needing so many products to look good. If you notice, even in most of her ads, her makeup is not as heavy or as complicated as the makeup done on other celebs. Even on her day to day activities, it's really simple. Sometimes, 'plakado' makeup and IG makeup looks make it too intimidating for all of us. Deep down, we all just want to look presentable everyday, and to be able to express our own individuality through the little things. Makeup doesn't have to be that daunting, it doesn't have to be this 10000 step routine that's unrealistic and unattainable for most of us. That's why Anne started off with the key products and key shades most people would need for everyday. 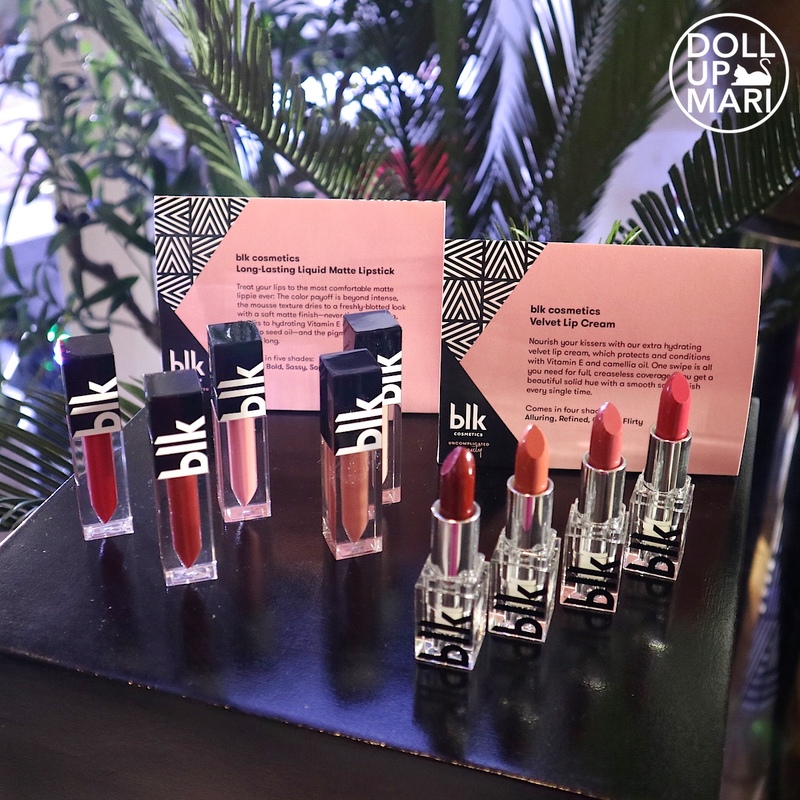 There's her Long Lasting Liquid Matte Lipstick (Php349), which comes in five shades: Bold, Brazen, Sassy, Simple, and Sophisticated. I was super impressed over them!!! I don't really like liquid lipsticks in general because they're drying, and most brands don't work well without lip liner. But hers works without lip liner well. The texture is creamy but not heavy on the lips, and the best part is it doesn't crack or flake off, even after a few hours. The lipsticks you see are BLK Cosmetics Velvet Lip Cream (Php299). It comes in four shades: Alluring, Classy, Flirty and Refined. This is an emollient and nourishing release for those who want something really comfortable. I also find this to be so refreshing because I am honestly a bit tired of everything being matte, as this has a satin finish. 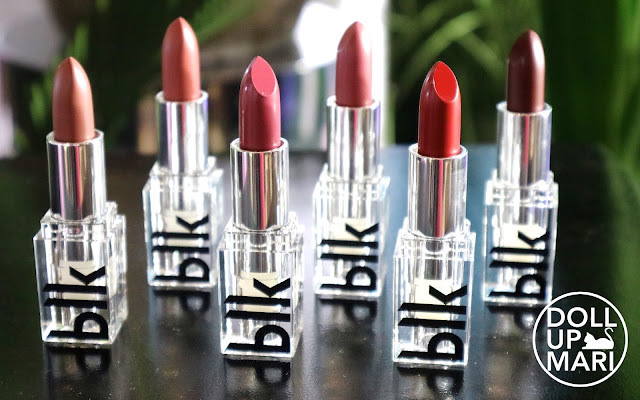 She has 6 shades for her All Day Intense Matte Lipstick (Php299), which is so intensely pigmented. The texture is really rich, and it doesn't move around a lot, which explains the "All Day" part in the product name. 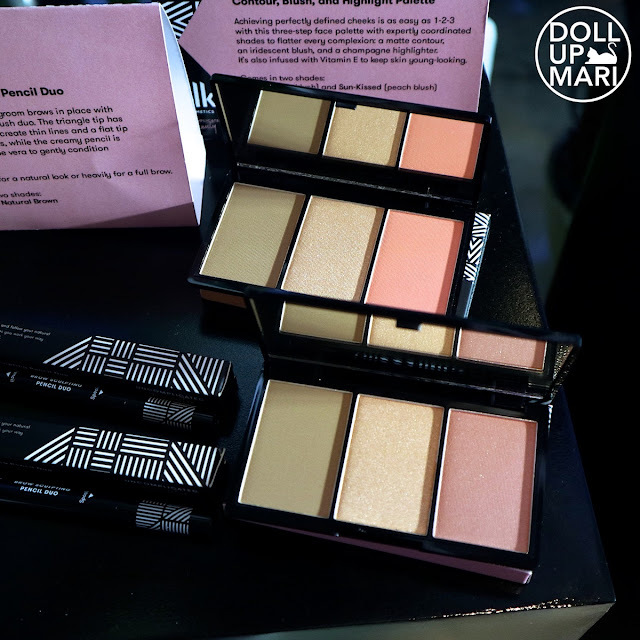 She has two shade releases for her Contour-Blush-Highlight palette (Php499). I like that she did this because trio palettes are so helpful to everyone. I mean there are people who will want specific shades and go for their own palettes for each product, but I like the convenience when it's all together in one place. She has Flushed (which features a rose blush) and Sun-Kissed (which features a peach blush). She also has two shades for her Brow Sculpting Duo (Php249), namely Taupe and Natural Brown, although I couldn't really feel the difference between both shades. What I liked about the brow pencil though is that it's soft and waxy at the same time, which is why it lets you have very volumized and nice bushy brows ala Anne Curtis, but the end result is natural looking. 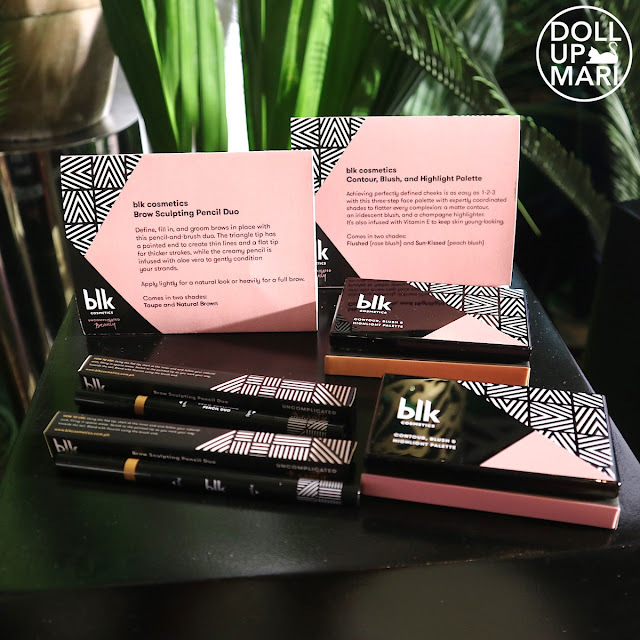 The releases which I have yet to explore in detail are her Powder Foundation (Php399) and Long lasting Liquid Eyeliner (Php249). The layout for the day was very organic and raw. 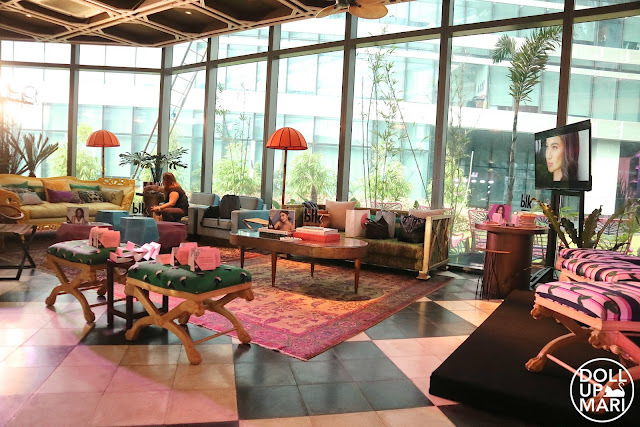 It felt like someone's house party, not like the usually uptight press launches out there. If you see, there is no high stage, just a low black platform, and the stage is not this vast place faaar from the audience. Of course, the place came to life with all the decor, but also with all the makeup in the house! 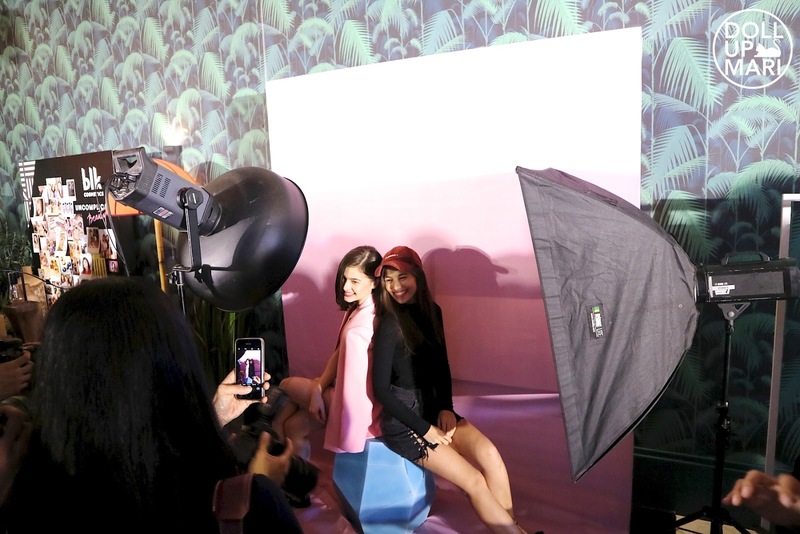 It was nice seeing a lot of the very personal BTS photos of Anne while she was coming up with the brand. I reaaaally love this photo so much, out of all the photos plastered everywhere. Seeing Anne busy swatching and trying things out really means a lot, because who's not tired of private labels using celebs names without any of the celeb's participation. For BLK, Anne was 10000% the creative director, at times bugging the production team late at night to consult things. Whenever she saw an idea, or thought of something cool, she'd tell her partners straight away. When things didn't feel right with the prototypes, she wouldn't sit and call it a day. She made sure everything was something she'd be proud to sell and use herself. This is the exact scene when Anne was being escorted by Jacqe into the venue! Today's host was Nicole Anderson. Isn't she pretty? I always adore her because she's a lot like Anne in the aspect that she's just so bubbly. 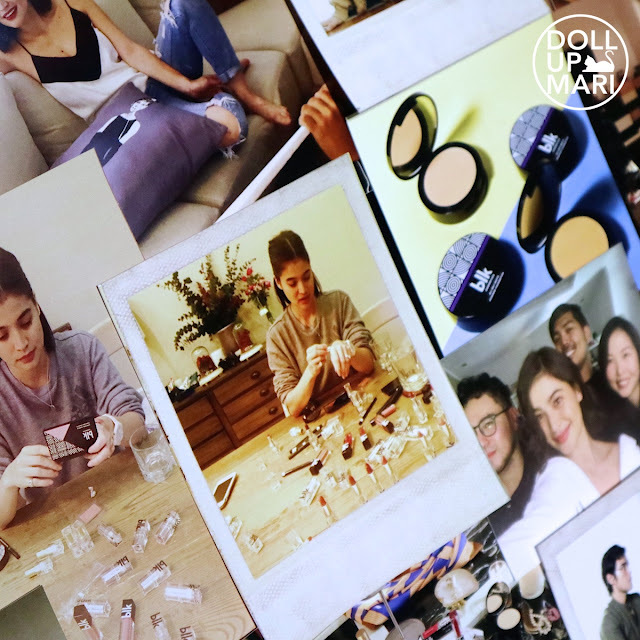 Anne is of course all smiles, and is happy to finally be launching her makeup brand. Imagine 6 years in the making? Craaaay! There were many 'almost there' moments that turned to 'not yet' for the past 6 years, so imagine her joy that her brand has finally come to life. People have always asked her about what makeup products she was using, and she thought, why not use the interest of the public to influence them about a no frills beauty philosophy? Jacqe Gutierrez (who is due to give birth anytime soon and still rocked this launch!) explained how hands on Anne was. Jacqe is among the beauty geniuses behind Happy Skin, which is why she comes into this venture with so much knowledge. Jacqe was more on the production and operations side, while Anne was mainly on the creative side. 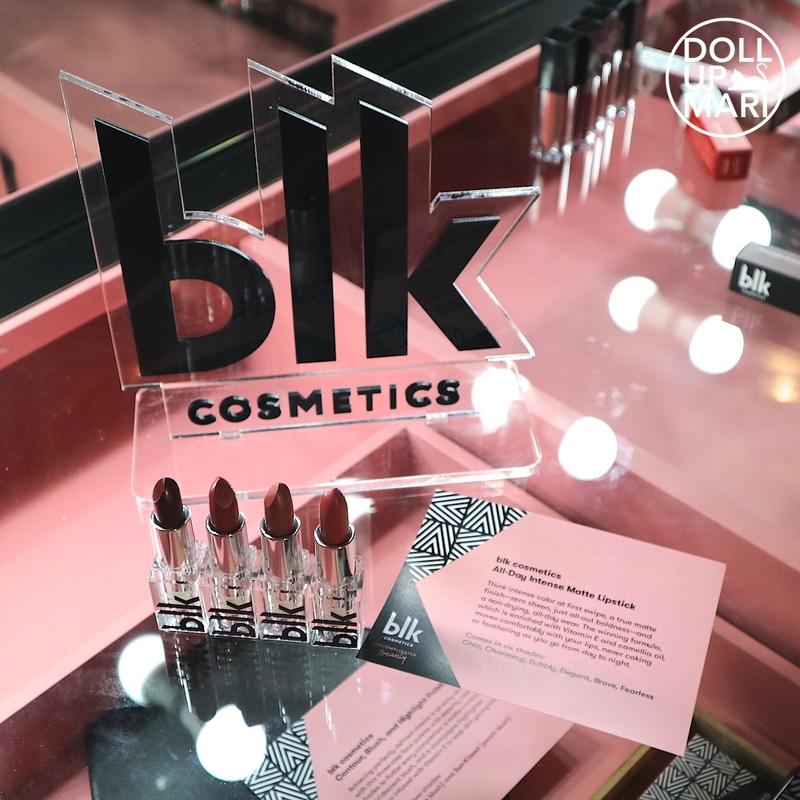 Since we have Anne's creativity and taste (people originally can't buy expensive taste, so thankfully, Anne made her expensive taste available to us mortals), and Jacqe's longtime experience and genius when it comes to formulating shades and textures Pinays will love, we have here this invincible brand, BLK cosmetics. Here they are posing with their other business partners and key sales officers. 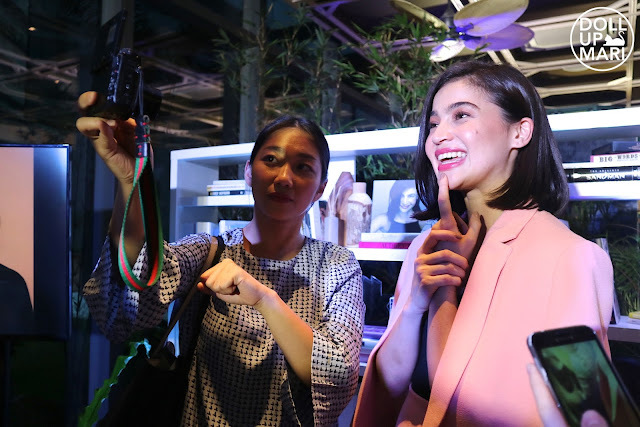 Anne spends a lot of time entertaining the press, and greets people on their vlogs. Yes, that's Rai! Of course, a photo with madam herself! 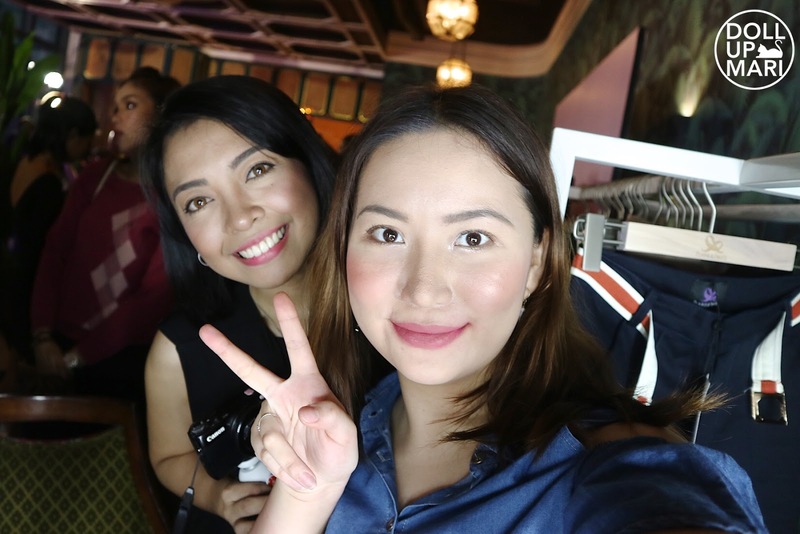 I also had a selfie with Kristel! And Gen-zel, whom I miss so much. And here I am with Rochelle, Gen-zel, Joyce, and new friends Allysiu and Inna. 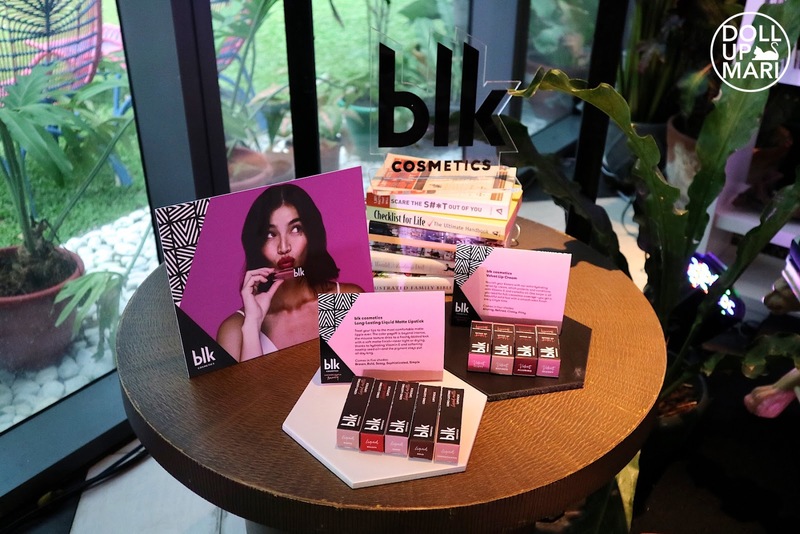 BLK Cosmetics is available at Watsons, blkcosmetics.com.ph, and at Zalora!